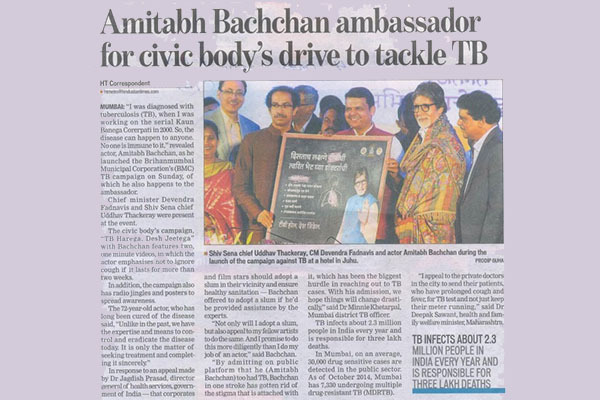 The main highlight of the event was the launch of the TB Harega Desh Jeetega campaign which attracted immense media interest. Coverage from the event emerged in over 25 leading English and vernacular media outlets. 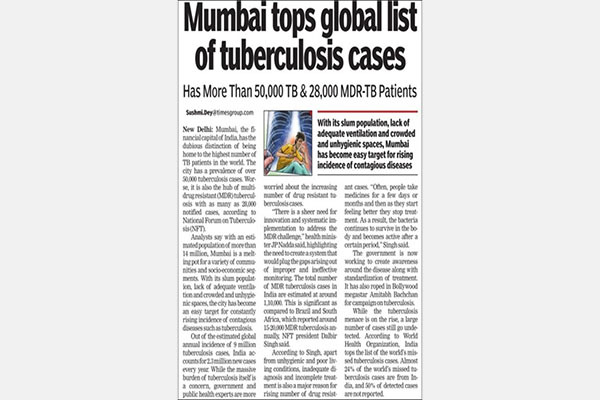 Leading experts on TB authored opinion pieces and were interviewed by national and regional newspapers and websites. Several experts and stakeholders used social media platforms like Twitter and Facebook to talk about various aspects of the disease. 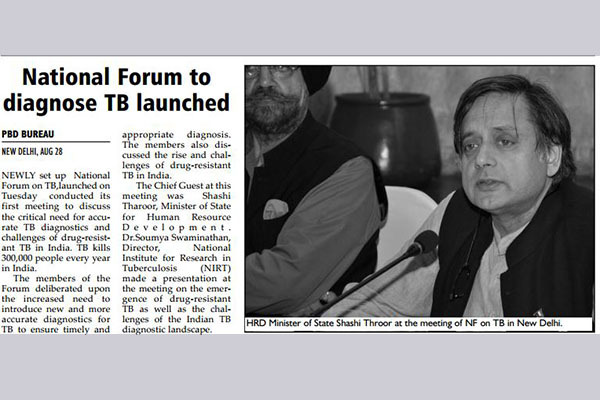 In addition, national and regional television channels broadcasted programmes and discussions on TB. The hashtag #TbHaregaDeshJeetega was actively used by stakeholders and media to promote the campaign on social media platforms. 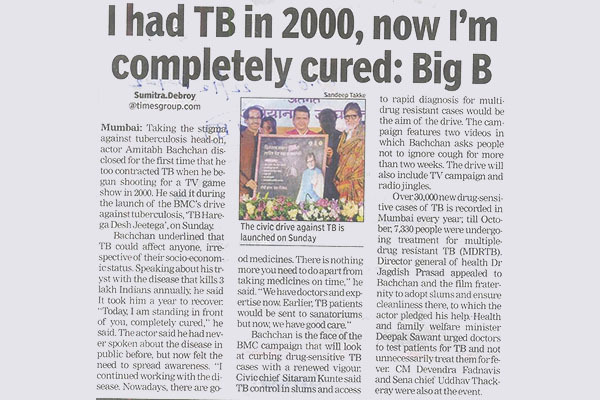 Mr. Bachchan, who had 14 million followers on Twitter and 19.7 million followers on Facebook during that time, used these two social media platforms to spread awareness about the disease. Music band Indian Ocean, which performed at the event reached out to over 4,10,000 of its followers on Facebook and Twitter combined, while Mr. Anurag Thakur wrote about his participation at the event to his 11 million followers on both the platforms. The nationwide scale up of the awareness program has occurred across 66 private television channels, has been played on a national news channel and has been on 104 private radio stations. It is estimated that 99 million people have seen the television commercial of TB Harega Desh Jeetega campaign at least once. GHS is currently working with the MoHFW to translate the campaign materials in several regional languages like Tamil, Telugu, Malayalam and Kannada to expand its reach towards South Indian states. MoHFW is also utilizing the campaign materials in the upcoming missed call campaign for TB care in several Indian states.